Engrave: Crown couple ring engrave with "His Queen" and "Her King". 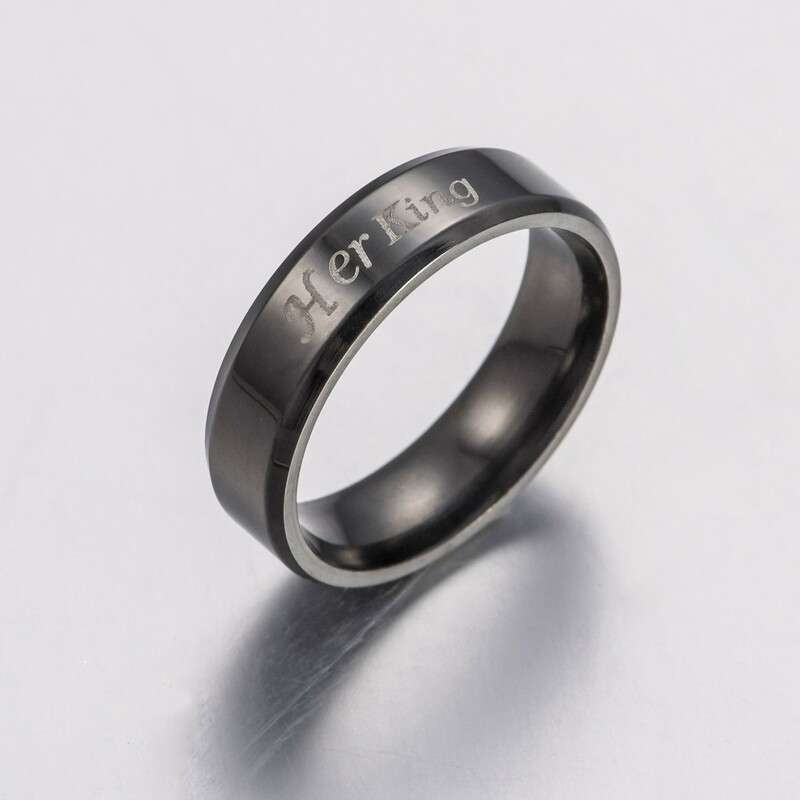 Ring color: White & black. Size: Man ring: 6/7/8/9/10/11/12/13; Women ring: 4/5/6/7/8/9. 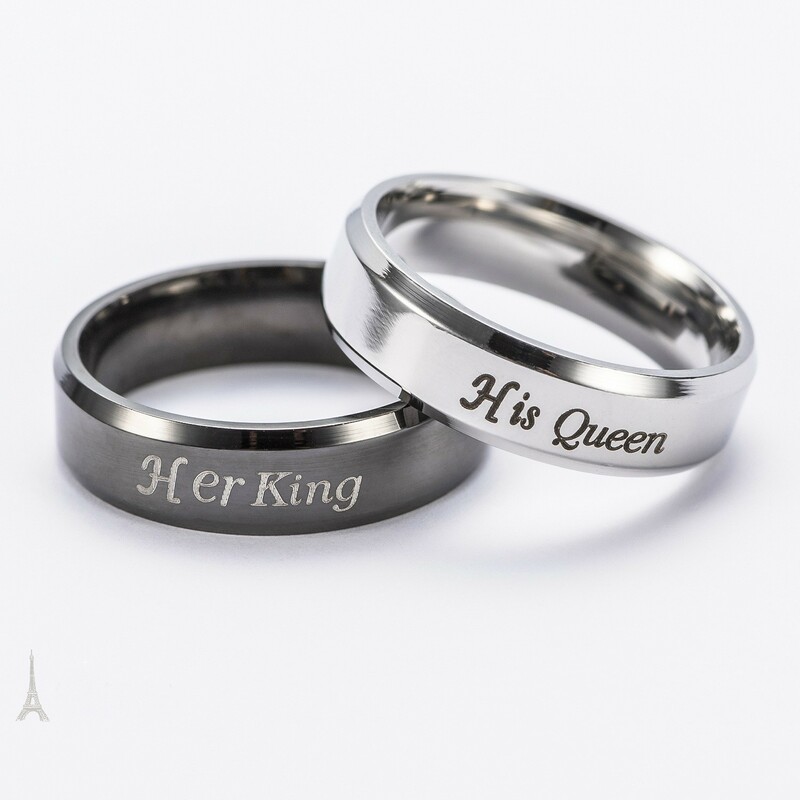 Destine love for his & her: It's blessing couple rings, we hope that your love would be happiness like the princess and prince. 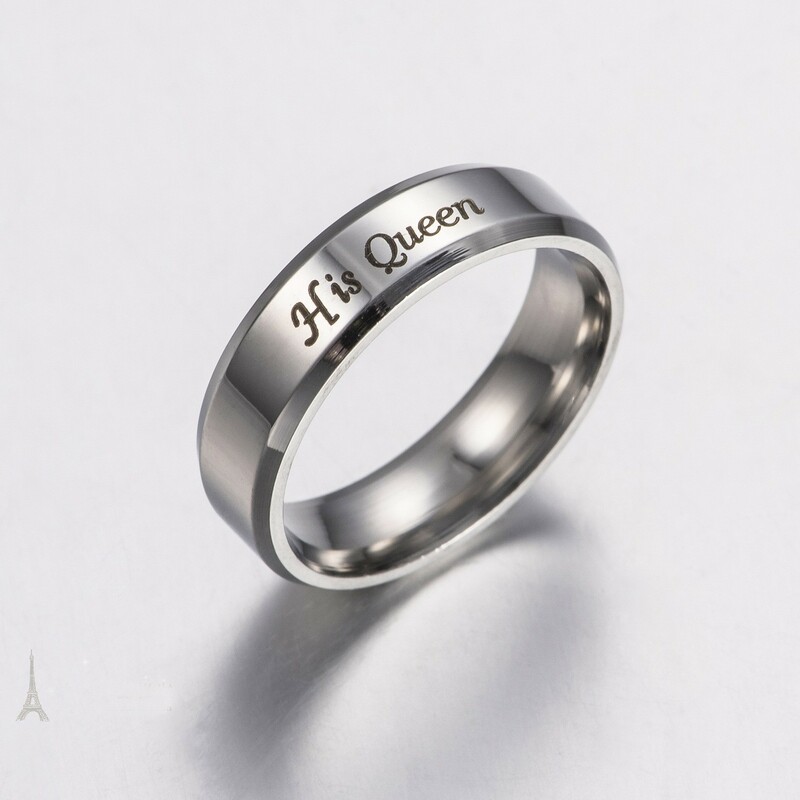 Usage: It certainly could be used as wedding bands and it also could be use as a fashion accessories, match with dress/ clothes.